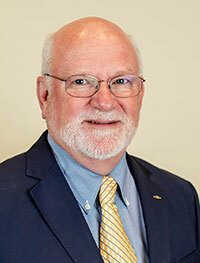 Dr. Adams is a member of Tau Beta Bi (NJ Beta) - the National Engineering Honor Society, Keramos - the National Ceramic Engineering Honor Society, and Phi Kappa Phi, the nation's oldest, largest, and most selective collegiate honor society for all academic disciplines. Dr. Adams hold engineering degrees from Rutgers University (B.S. ), the Massachusetts Institute of Technology (dual M.S. degrees), and Old Dominion University (Ph.D.). Dr. Adams and his co-author Dr. Patrick Hester were recently awarded the 2018 Textbook & Academic Authors Association award for best College textbook in Computer Science and Engineering for the 2nd edition of their text Systemic Decision Making: Fundamentals for Addressing Problems and Messes. Adams, K. M. & Hester, P.T. (2016). Complex problems: The philosophical underpinnings for a transdisciplinary approach. Procedia Computer Science, in press. Adkins, J. Y., Adams, K. M., & Hester, P. T. (2015). How System Errors Affect Aircrew Resource Management (CRM). Procedia Computer Science, 61, 281-286. Nobles, D., & Adams, K. M. (2015). Extending life cycle models for a repeatable innovation strategy. CrossTalk, 28(6), 28-32. Chesterman, C. W., Walters, D., & Adams, K. M. (2015). Metasystem Communication in Governance of Complex Systems. International Journal for System of Systems Engineering, 6(1/2), 101-111. Walters, J., & Adams, K. M. (2014). Improving Software through Metrics while Providing Cradle to Grave Support. CrossTalk, 27(4), 26-29. Hoyland, C. A., Adams, K. M., Tolk, A., & Da Xu, L. (2014). The RQ-Tech Methodology: A New Paradigm for Conceptualizing Strategic Enterprise Architectures. Journal of Management Analytics, 1(1), 55-77. Adams, K. M., Hester, P. T., Bradley, J. M., Meyers, T. J., & Keating, C. B. (2014). Systems Theory: The Foundation for Understanding Systems. Systems Engineering, 17(1), 112-123. Adams, K. M., & Hester, P. T. (2013). Accounting for Errors when Using Systems Approaches. Procedia Computer Science, 20, 318-324. Hester, P. T., & Adams, K. M. (2013). Determining Stakeholder Influence Using Input-Output Modeling. Procedia Computer Science, 20, 337-341. Hester, P. T., & Adams, K. M. (2013). Thinking Systemically About Complex Systems. Procedia Computer Science, 20, 312-317. Morris, D. M. & Adams, K. MacG. (2013). The Whole is more than the Sum of its Parts: Understanding and Managing Emergent Behavior in Complex Systems. CrossTalk, 26(1), 15-19. Adams, K. MacG. (2012). Systems Theory: A Formal Construct for Understanding Systems. International Journal of System of Systems Engineering, 3(3/4), 209-224. Hester, P. T., Bradley, J.M. & Adams, K. MacG. (2012) Stakeholders in Systems Problems. International Journal of System of Systems Engineering, 3(3/4), 225-232. Adams, K. MacG., & Hester, P. T. (2012). Errors in Systems Approaches. International Journal of System of Systems Engineering, 3(3/4), 233-242. Adams, K. MacG. & Bradley, J.M. (2012). System of Systems Engineering Education. International Journal of System of Systems Engineering, 3(3/4), 290-305. Hester, P. T., Adams, K. MacG., & Kern, D.J. (2012). Integrated Condition Assessment for Navy System of Systems. International Journal of System of Systems Engineering, 3(3/4), 356-367. Adams, K. M., & Meyers, T. J. (2011). The US Navy carrier strike group as a system of systems. International Journal of System of Systems Engineering, 2(2/3), 91-97. Tribble, J. E., & Adams, K. M. (2011). Using system of systems engineering to strengthen carrier strike group C4ISR readiness evaluation. International Journal of System of Systems Engineering, 2(2/3), 98-111. Adams, K. M., & Keating, C. B. (2011). Overview of the systems of systems engineering methodology. International Journal of System of Systems Engineering, 2(2/3), 112-119. Adams, K. M. (2011). Systems principles: foundation for the SoSE methodology. International Journal of System of Systems Engineering, 2(2/3), 120-155. Adams, K. M., & Meyers, T. J. (2011). Perspective 1 of the SoSE methodology: framing the system under study. International Journal of System of Systems Engineering, 2(2/3), 163-192. Hester, P.T., Adams, K. MacG. & Mahadevan, S. (2010). Examining Metrics and Methods for Determining Critical Facility System Effectiveness. International Journal of Critical Infrastructures, 6(3), 211-224. Keating, C.B., Padilla, J.J. & Adams, K.M. (2008) System of Systems Engineering Requirements: Challenges and Guidelines. Engineering Management Journal, 20(4), 44-51. Charette, R.N., Adams, K.M. & White, M.B. (1997) Managing Risk in Software Maintenance. IEEE Software, 14(3), 43-50. Lehman, R.L., Weinstein, J.G., Phelps, G.W. & Adams, K.M. (1984). Reformulation of Whiteware Bodies using Characterization and Linear Programming Methods and Techniques. Journal of the American Ceramic Society, 63(8), 1039-1042, 1050. Hester, P. T., & Adams, K. M. (2017). Systemic decision making: Fundamentals for addressing problems and messes (2nd ed.). Cham, Switzerland: Springer International Publishing. Adams, K. MacG. (2015). Non-functional Requirements in Systems Analysis and Design. New York: Springer. Hester, P. T. & Adams, K. MacG. (2014). Systemic Thinking Fundamentals for Understanding Problems and Messes. New York: Springer. Tolk, A., Adams, K. MacG., & Keating, C.B. (2011). Towards Intelligence-based Systems Engineering and System of Systems Engineering. In A. Tolk & L. Jain (Eds.). Handbook on Intelligence-based Systems Engineering. (pp. 1-22). Berlin: Springer-Verlag. Burkhardt, B., Krahn, S., Ault, T., Chisholm, B., Lemasters, S., Adams, K., & Sowder, A. (2017). The Current State of Nuclear Fuel Cycle Simulation Tools. Proceedings of the International High-Level Radioactive Waste Management (IHLRWM) Conference (in press). La Grange Park, IL: American Nuclear Society. Montana, M., Bradley, J. M., Burton, G., Tesoriero, F., & Adams, K. M. (2014). Submarine Intermediate Maintenance Metrics, Part II, Proceedings of the Fleet Maintenance and Modernization Symposium (pp. 1-9). Alexandria, VA: American Society of Naval Engineers. Adams, K. M., Hester, P. T., & Bradley, J. M. (2013). A Historical Perspective of Systems Theory. In A. Krishnamurthy & W. K. V. Chan (Eds. ), Proceedings of the 2013 Industrial and Systems Engineering Research Conference (pp. 4102-4109). Norcross, GA: Institute of Industrial Engineers. Adams, K. M., & Pazos, P. (2010). Governance in Competency Aligned Organizations. Proceedings of the 31st National ASEM Conference: Lean and Green - Building a Sustainable Future through Engineering Management (pp. 212-221). Rolla, MO: American Society for Engineering Management. Smith, M., Smith, A., & Adams, K. M. (2010). Implementing a Method for Governing SoSE Analysis. Proceedings of the 31st National ASEM Conference: Lean and Green - Building a Sustainable Future through Engineering Management (pp. 668-677). Rolla, MO: American Society for Engineering Management..
Adams, K. M. (2009). Systems of Systems Engineering Education for 21st Century Complex Systems, Proceedings of the 30th National ASEM Conference: Engineering Management: Celebrating the Past, Engineering the Future (pp. 179-188). Springfield, MO: American Society for Engineering Management. Adams, K. M., & Pazos, P. (2009). Education and Training for Systems Engineers in Competency Aligned Organizations. Proceedings of the 30th National ASEM Conference: Engineering Management: Celebrating the Past, Engineering the Future (pp. 214-223). Springfield, MO: American Society for Engineering Management..
Keating, C. B., Adams, K. M., Magpili, L., & Calida, B. (2008). R & D Governance: Structuring the R & D Enterprise. Proceedings of the 29th National ASEM Conference: Engineering Management: Leadership in Action (pp. 545-554). Rolla, MO: American Society for Engineering Management. Hester, P. T., & Adams, K. M. (2008). Synthesized Probabilistic and Non-probabilistic Analysis Technique: A Research Proposal. Proceedings of the 29th National ASEM Conference: Engineering Management: Celebrating the Past, Engineering the Future (pp. 330-336). Rolla, MO: American Society for Engineering Management. Martin, A., Slocum, R., & Adams, K. M. (2008). System of Systems Analysis of Aircraft Carrier Strike Group Information Exchange: A Literature Review. Proceedings of the 29th National ASEM Conference: Engineering Management: Leadership in Action (pp. 370-380). Rolla, MO: American Society for Engineering Management. Adams, K. M. (2008). A Structured Systemic Framework for Evaluating Software Development Projects. Proceedings of the Twentieth Annual Systems and Software Technology Conference (May 2008). Logan, UT: Utah State University. Adams, K. M., & Mun, J. H. (2005). The Application of Systems Thinking and Systems Theory to Systems Engineering. Proceedings of the 26th National ASEM Conference: Organizational Transformation: Opportunities and Challenges (pp. 493-500). Virginia Beach, VA: American Society for Engineering Management. Adams, K. M., & Mun, J. H. (2005). Towards a System of Systems Methodologies, Once Again. Proceedings of the 26th National ASEM Conference: Organizational Transformation: Opportunities and Challenges (pp. 502-510). Rolla, MO: American Society for Engineering Management. Adams, K. M., & Pinto, C. A. (2005). Software Development Project Risk Management: A Literature Review. Proceedings of the 26th National ASEM Conference: Organizational Transformation: Opportunities and Challenges (pp. 635-641). Rolla, Mo: American Society for Engineering Management. Adams, K. MacG., & Hester, P.T. (2013). Elements of Systems Theory for Application to Performance Management and Measurement (PMM) (NCSOSE Technical Report 2013-001). Norfolk, VA: National Centers for System of Systems Engineering. Bradley, Joseph M. & Adams, K. MacG. (2012). Measuring Submarine Fleet Maintenance (NCSOSE Technical Report 2012-003). Norfolk, VA: National Centers for System of Systems Engineering. Adams, K. MacG. & Bradley, Joseph M. (2012). Productivity, Performance and Availability and Intermediate Level Maintenance. (NCSOSE Technical Report 2012-002). Norfolk, VA: National Centers for System of Systems Engineering. Adams, K. MacG., & Bradley, J. M. (Eds.) (2012). Data Management for a Navy Logistics System of Systems: Recommendations to improve the efficiency and effectiveness of data management in a Navy logistics system of systems (NCSOSE Case Study Report 2012-001). Norfolk, VA: National Centers for System of Systems Engineering. Adams, K. MacG. & Bradley, Joseph M. (2011). Productivity and Navy Intermediate Maintenance (NCSOSE Technical Report 2011-003). Norfolk, VA: National Centers for System of Systems Engineering. Adams, K. M. (2011). Development of a Decision Analysis Software Evaluation Framework (NCSOSE Technical Report 2011-001). Norfolk, VA: National Centers for System of Systems Engineering. Keating, C. B., Hester, P. T., Myers, T., Calida, B., & Adams, K. M. (2010). R&D System Governance Research: Relevance, Foundations, Value, and Challenges for DHS S&T Borders and Maritime Security Division. (NCSOSE Technical Report 003-2010). Norfolk, VA: National Centers for System of Systems Engineering. Adams, K. M., Pazos, P., & Keating, C. B. (2010). The Competency Aligned Organization - Supporting the Navy's Engineering Enterprise (NCSOSE Technical Report 2010-002). Norfolk, VA: National Centers for System of Systems Engineering. Adams, K. M., & Keating, C. B. (Eds.) (2009). Carrier Strike Group Information Exchange" Recommendations to Improve Radio Frequency (RF) Information Exchange (IE) Systems Performance within the larger Carrier Strike Group (CSG) System of Systems (SoS) (NCSOSE Technical Report 2009-010). Norfolk, VA: National Center for System of Systems Engineering.